Today I have two card toppers to share with you. 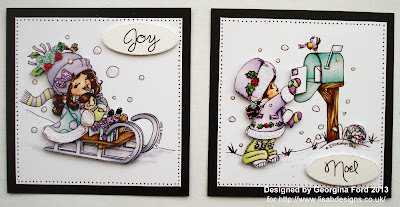 I used Hobby House Snow Fun topper sheet which is available from Lisa B. Designs. 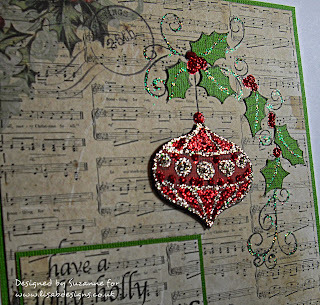 On one topper sheet some of the image are repeated, so this gives you an ideal opportunity to create your own decoupage. 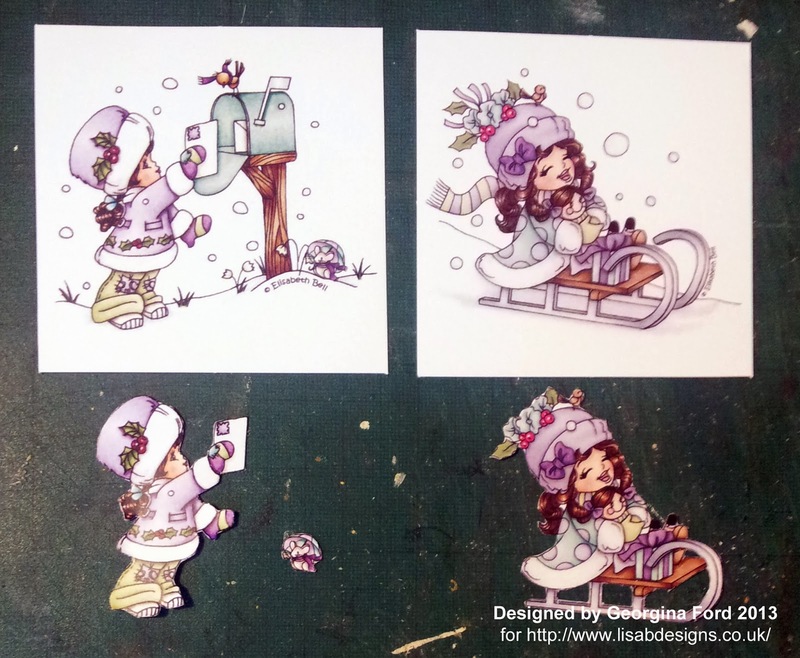 I chose two cute images, the post box and sledge. As you can see below I kept one image as it was and the second I cut out sections. I attached the main images to a pieces of black card. I then attached the cut-out pieces with foam pads. 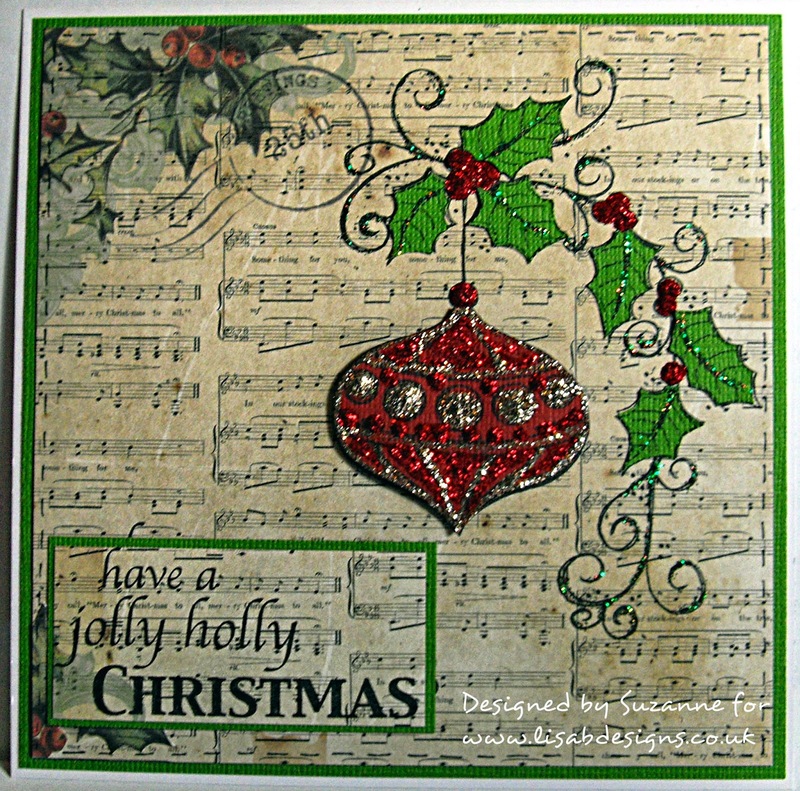 To add extra festive sparkle I added various Stickles. To finish the toppers I added a die cut sentiment and black dots with a fineliner. I’ve given Norman a vintage look today. I stamped him with Coffee Archival, heat set with WOW Clear Sparkle embossing powder & coloured with an assortment of cream & brown Whispers watercolour pens. Next I decided on the card layout. 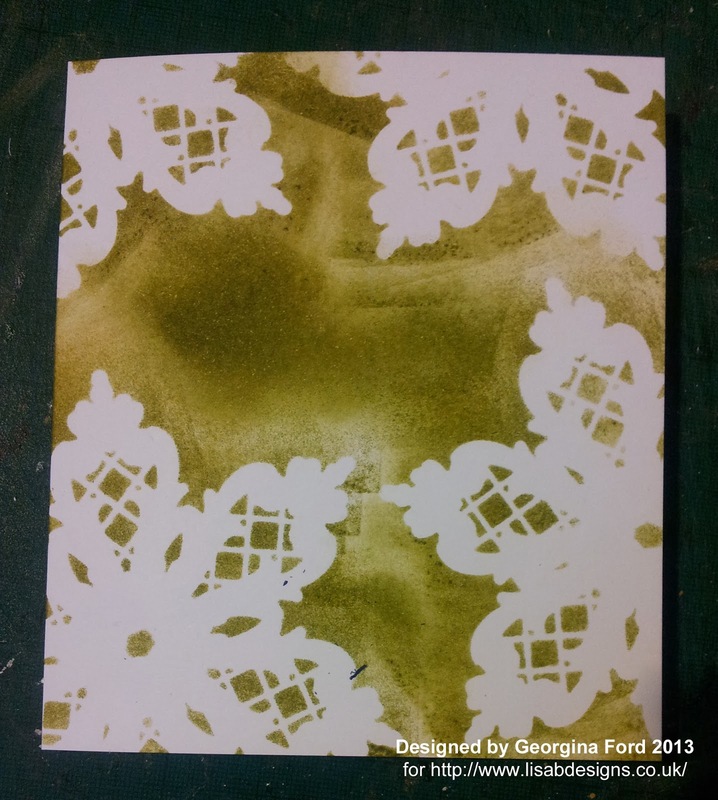 I used a 20x20cm card blank & core’dinations papers layered on top. Then I stamped the Hobby Art Butterfly Kisses snowflakes with Versamark ink on a 15x15cm piece of white card, heat setting with WOW Bright White embossing powder. 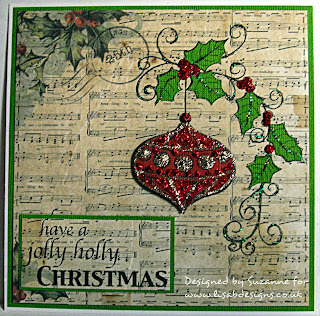 I cut the square into three 5x15cm strips, brushed Frayed Burlap distress ink over the snowflakes & Walnut Stain DI around the edges. I used a baby wipe to remove the distress ink from the embossed snowflakes. 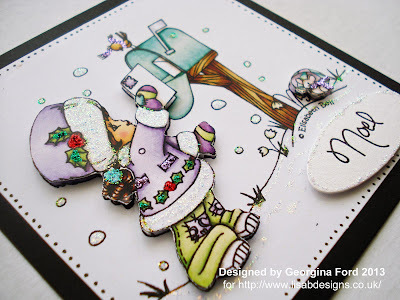 I used the largest of a Spellbinders label die to cut the snowman image & used the same die as a template to hand cut a larger label from a piece of core’dinations. 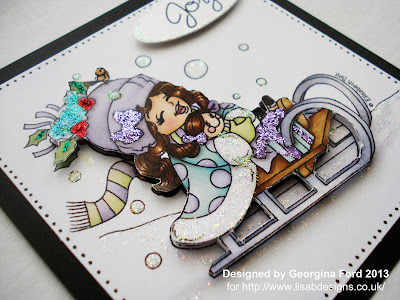 I found the ribbon in my stash & added gold liquid pearls & http://www.lisabdesigns.co.uk/glitter-glue-gold-p-1597.htmlhere & there. The greeting is from my stash. Thanks for looking. Just a final reminder about the October challenge, it ends on the 31st. I will be back on Friday, November 1st with a new challenge & October’s winner. The Big Reveal on my Craft Studio.......!!! Well the time has finally come for me to show you some pictures of my new studio. I know it has been a long time coming but it has been worth it in my eyes as it gives me a clean inspiration space to work in and it has been great coming up with a theme and designing everything to go in there. A few welcoming signs or not as you enter!!!!! Punches all organised, I didn't realise that I had so many?........and these are the ones that I have decided to keep! A great comfy chair and a small work space, no more piling up a 6ft table with lots of off cuts or not putting things away anymore..... there's no where to leave it and still work! I have had a lot of great response to this and have quite a few names down already for next year. If this is something that you would be interested in doing and want to know more details, then you can email me at: lisabaker1@btinternet.com or cal me on: 01622 675078. I will be contacting people in December with the contents info and to book dates for 2014. I will as from next year be running a Class workshop from Fant Hall on the first Friday of every month except January which is too early for everyone. I hope you have enjoyed sharing my studio with you, let me know what you think and leave me a comment. Hi! It's Thursday again so it's Georgina here with my regular weekly post. Today I have a Christmas card to share with you. I used Joy! Craft Edge cutting die to create a snowflake which I have used as a mask and also an embellishment. 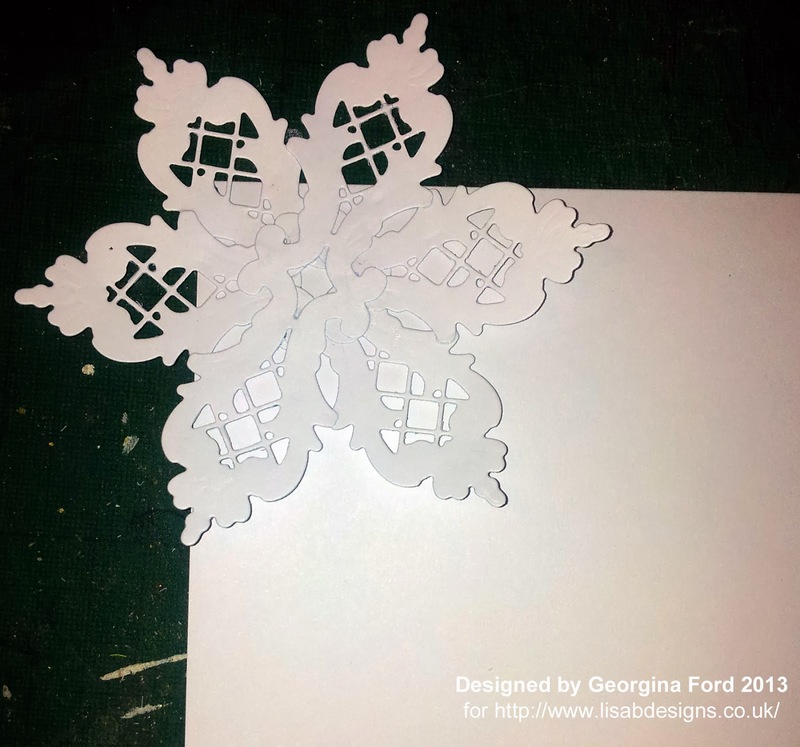 To create the snowflake I die cut three Edge shape designs. I attached the three shapes together to form a snowflake as shown below. 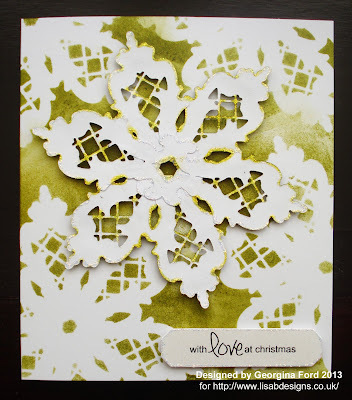 Once I took away the snowflakes this is what was left on the card blank. 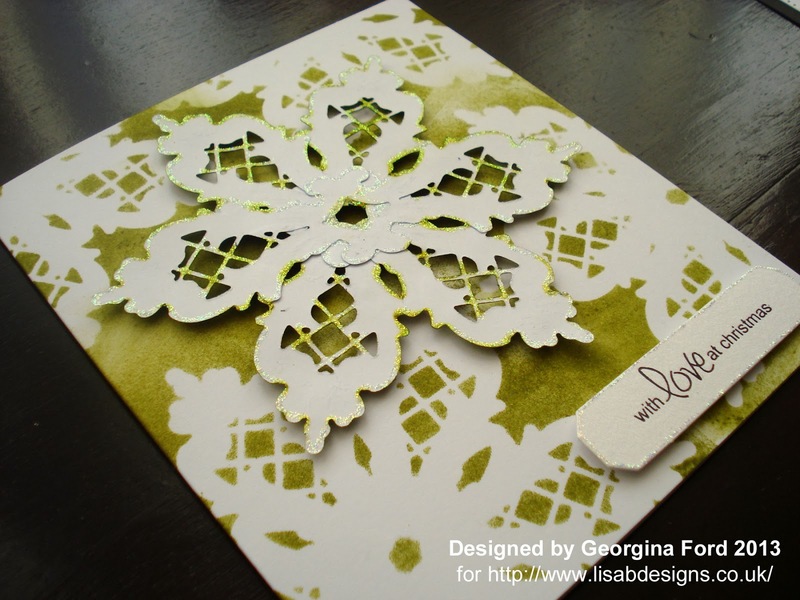 A lovely detailed snowflake design. I continued the same progress all over the card blank. 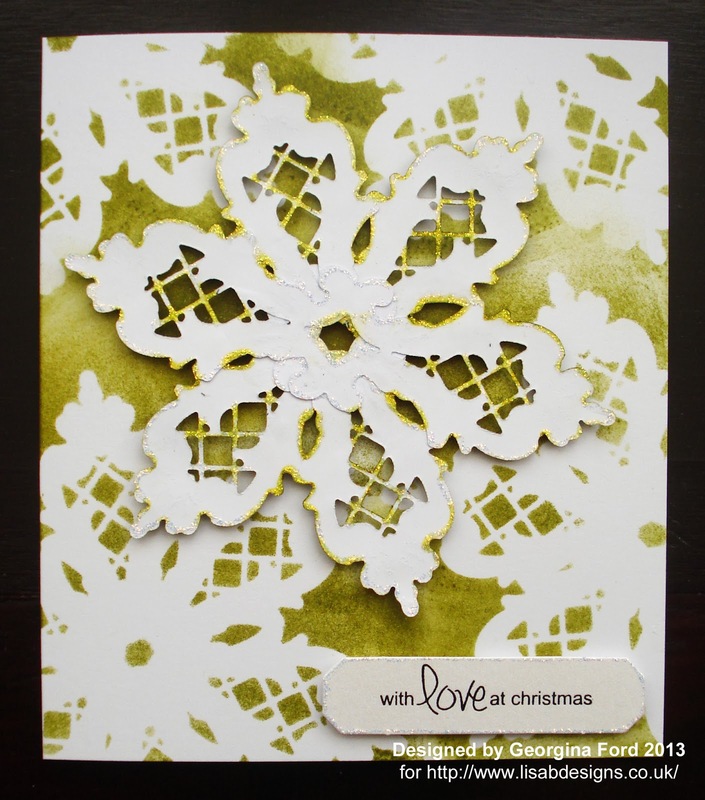 I turn the snowflake over and attached it to the card blank with foam pad. 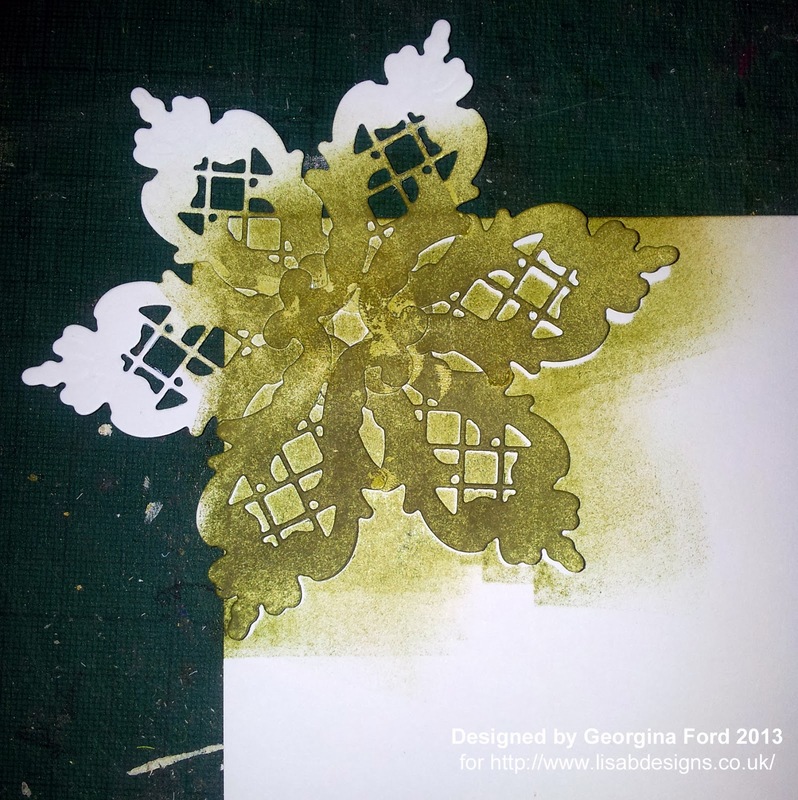 To finish I added a die cut sentiment and Stadust Stickles to the sedge of the snowflake. Hello blog visitors, Kirsten here. It’s Tuesday, so it must be my turn on the blog. I didn’t have any idea what I wanted to do for my post this week, so I started by stamping Hobby Art's Norman stamp with black Archival & heat setting with WOW Clear Sparkle embossing powder, then colouring with Whispers watercolour pens. 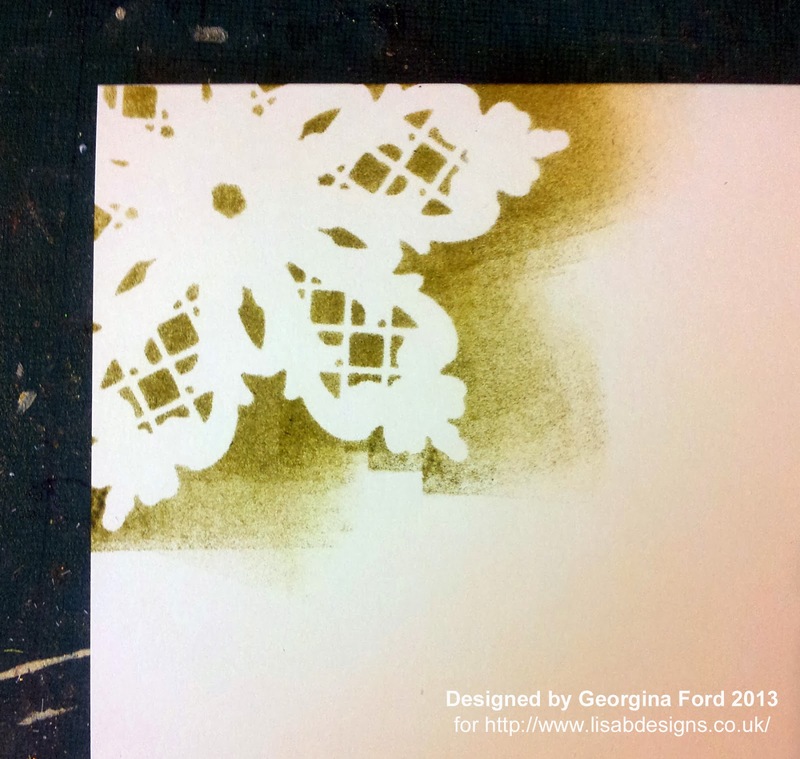 As I coloured I began to get an idea, so I stamped the image on a C6 card blank, again with black Archival & embossed with the Clear Sparkle EP. Next I cut out some of the main elements from the first image. I cut them as close to the borders as I could, then ran around the white edges with a black pen. As I was doing this I wondered if I could make a paper bauble to use as an embellishment, so I die cut six scalloped circles from a scrap of red core’dinations paper & folded five of them in half. Using Cosmic Shimmer glue I began sticking the semi circles to one side of the unfolded circle, layering them on top of each other. I used four semi circles & glued the other side of the fourth one to the left side of the base circle. Voila! 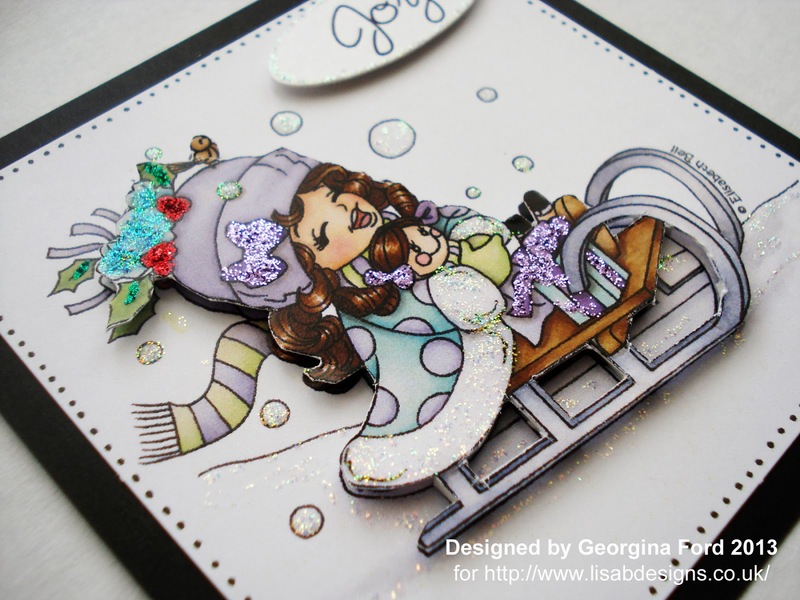 A Christmas bauble with added glitter on the finished card. Thanks for looking & thanks also to everyone who has taken part in the blog challenge so far, there’s still plenty of time to enter, so if you’ve been thinking about it, why not have a go?